It's as if millions of people in coffee shops across the United States were using their laptops to do mathematical calculations while sipping their lattes — more than a billion calculations a second for each person. That's how Rick Stevens, an associate director at Argonne National Laboratory in Lemont, Illinois, explains the unprecedented computational power of the lab's new supercomputer. Dubbed Aurora, the $500-million device will be delivered to the lab in 2021, its creators announced Monday. 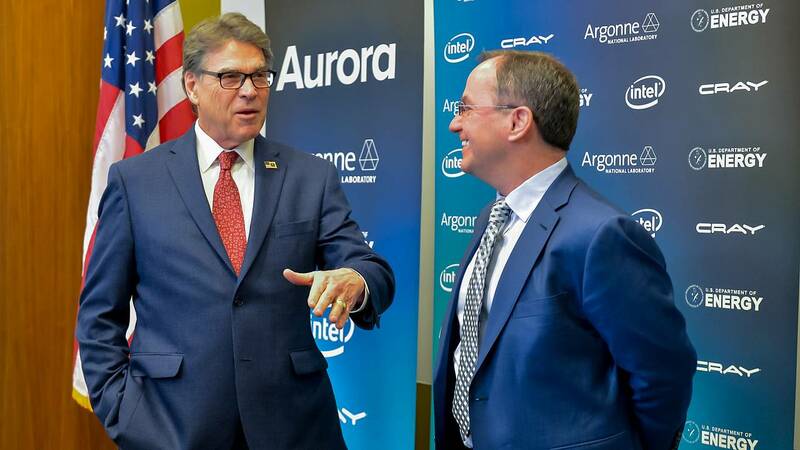 A joint venture by chipmaking giant Intel, supercomputer manufacturer Cray and the U.S. Department of Energy, Aurora will be the first so-called exascale computer in the U.S. That means it will be able to perform a quintillion calculations per second (in computer science parlance, that's 1 exaFLOP, where FLOP stands for "floating point operations per second"). "Exascale computing is going to have an amazing impact on our work," James Proudfoot, who leads a physics research team at Argonne, said in an Intel video about the supercomputer. Aurora's exascale speed means it can handle lots of data at a time, Stevens said. That will make it a useful tool for instruments like telescopes, which produce a constant stream of information. It will also make computer simulations much more precise. For example, a climate model run on Aurora could have a data point for every neighborhood instead of just one for every city. 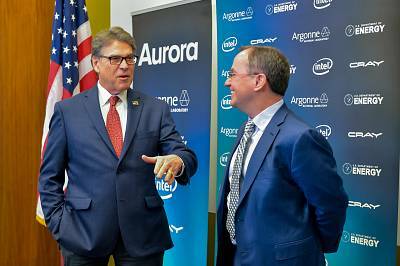 But Aurora's real edge will come from its ability to use artificial intelligence to guide its models and simulations, Raj Hazra, a corporate vice president at Intel, said. Rather than modeling the effects of every possible combination of cancer drugs, for example, Aurora will use AI to identify the most promising combinations and model those first. "It learns its way to the right place," Hazra said. "The AI part puts intelligence into searching that haystack for the needle." Aurora's exaFLOP of performance marks a big improvement over Summit, a supercomputer at Oak Ridge National Laboratory and the reigning world champion for processing speed. Summit maxes out at 200 petaFLOPS (200 quadrillion calculations per second). But the U.S. has stiff competition in the never-ending race to claim bragging rights for the world's fastest computer. Regardless of who wins the race, Stevens says this isn't the end of the road for supercomputer speed. "It's not like we fall off the earth in 2021," Stevens said. "People still want more computing capability."